The Stone Country Yearbook is now available at half price. If you want a copy, it can be purchased through Paypal with Freepost and will be dropped through your letterbox next working day. 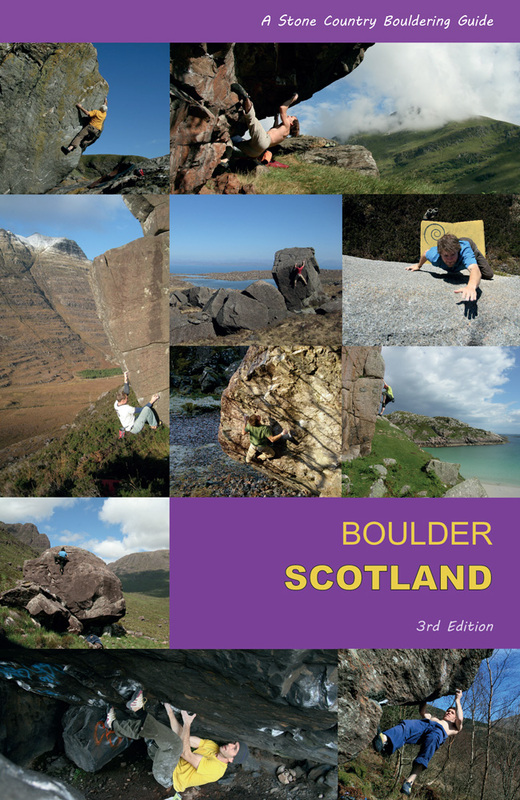 It includes sports updates and topos for The Orchestra Cave, Red Wall Quarry, Dunglass, Ardvorlich, Rob's Reed and bouldering for Shelterstone, Applecross, Trossachs and Glen Lednock, amongst many others. What I keep returning to in bouldering is its ability to absorb our imagination and its open-ended nature. Dumbarton Rock, despite its heavy historical footfall, still keeps giving new 'lines'. 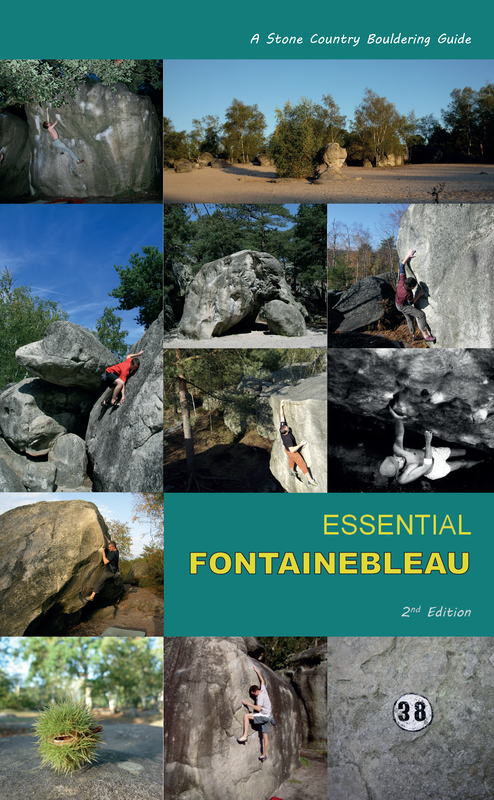 In bouldering, there is a crucial core to enjoying it and this is the simple sense of play. The eliminate philosophy of deciding what lines to climb means a single lump of rock can provide limitless entertainment and fun. There aren't any restrictions as to line - it is the movement and quality of moves which counts, which is why we can get so absorbed by graffiti-scrawled rock in a tawdry industrial setting and still feel like we are lost in a new world. This focus on the actual climbing rather than the line dictated by the architecture (these are always the obvious aesthetic lines which are climbed first) means anything is possible and any move can be as good as another: the rock doesn't really care which way you go, after all. 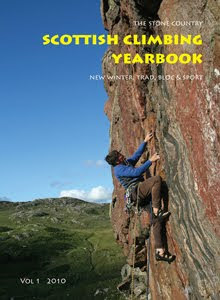 Hence the birth of traversing, such as the classic Consolidated Traverse, which opened a whole new game at Dumbarton. The obvious perma chalked horizonal prow of the platform with a prop boulder under it. SDS at the base of the prow at an obvious crimp. Slap out right to slopers on the lip and continue out the prow via powerful slapping and hugging to a desperate move off a poor sidepull gains the first real hold! 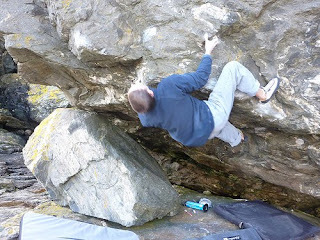 A final hard move gains jugs on the finishing arete.